Iowa looks stunning in postcards, but have you notice how hard it has become to find postcards these days? 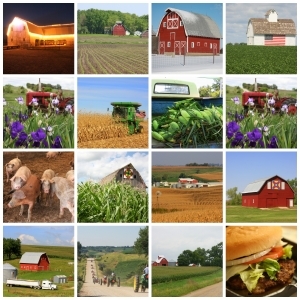 That's why I've printed 15 of my most popular images that showcase the beauty of rural Iowa and feature the word "iowa" on the front of each postcard. You'll also receive a bonus postcard featuring my famous Meatloaf Burger recipe, which has been featured in "Our Iowa" magazine. All the postcards (measuring 5.5 inches by 4.25 inches) feature vibrant colors, a glossy finish and plenty of room on the back for you to write a message. Maybe you'd just rather frame these postcards and feature unique artwork in your home or office. Postcards make a great gift for anyone!